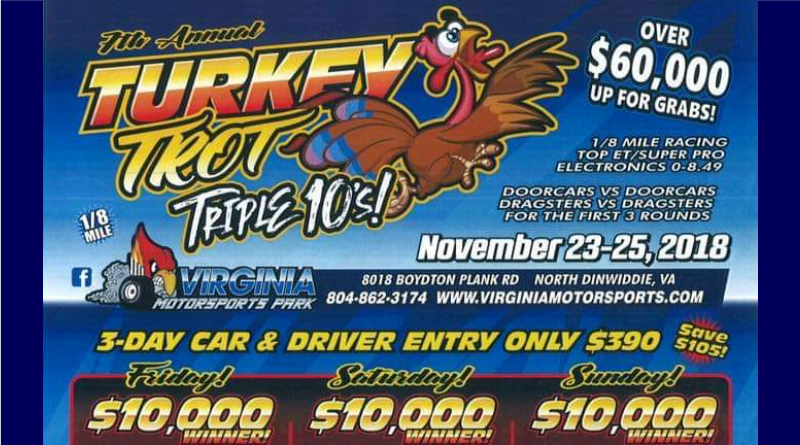 NORTH DINWIDDIE, Va. – Virginia Motorsports Park will host the 7th Annual Turkey Trot Triple 10’s December 1-2 after the weather didn’t cooperate over the Thanksgiving weekend. The originally scheduled three-day big money bracket racing event now includes two $10,000 to win events. If time permits they will also run High Roller events on Saturday. For more information see the event flyer posted below.